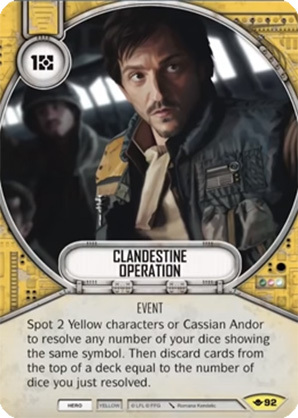 Spot 2 Yellow characters or Cassian Andor to resolve any number of your dice showing the same symbol. Then discard cards from the top of a deck equal to the number of dice you just resolved. Way of the Force #92.